The GHBA Remodelers Council (RMC) is an organization of remodelers and industry associates. We are dedicated to the promotion of excellence and professionalism within the organization, and public awareness of the Remodelers Council. We achieve this through education, certification and service to the membership, industry and the community. Set your company apart from the competition. The award-winning Remodelers Council consists of remodelers, designers, suppliers and manufacturers from all over the Houston area. Enjoy educational speakers, share in cutting-edge industry trends and issues as well as network with peers from all facets of the industry. Protect your business with iron-clad construction contracts, written specifically for Texas remodelers. This free member benefit can save you thousands in legal fees. Council members enjoy the benefit of being identified as reputable contractors and upholding standards of practice as well as offering a unified “quality” image to the buying public. Stay up to date on the latest in local codes & standards. The RMC supports “pro-industry” political candidates and legislators and actively fights legislation that could raise the cost of building. The GHBA Remodelers Council (RMC) stresses high professional standards in the home improvement industry through the continuing education of its members and the consumer. Monthly luncheons feature speakers from all facets of the building industry, including designers, marketing professionals and even elected officials. The Remodelers Council meets on the second Tuesday of each month at 11:30 a.m. at Houston Racquet Club. 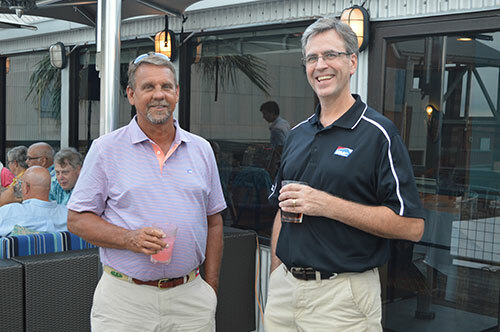 The council is open to remodeler and associate members, alike. 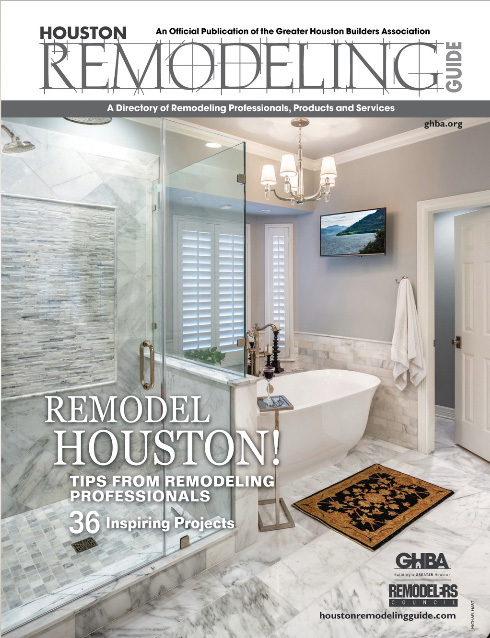 The Houston Remodeling Guide is the official, award-winning remodeling magazine of the GHBA’s Remodelers Council. The Houston Remodeling Guide publication is filled with information and services for consumers who are considering remodeling their homes. The magazine also serves as a directory of members for the Remodelers Council. Now in its 17th year of distribution, members have come to rely on this magazine as a trusted marketing tool. This annual publication has a distribution of 50,000 copies, and is published in the Fall. To advertise in the guide, email Amy Robinson or call 832-274-6212. Speed Selling events are an efficient and effective way to build relationships with new vendors and suppliers in a laid-back environment. 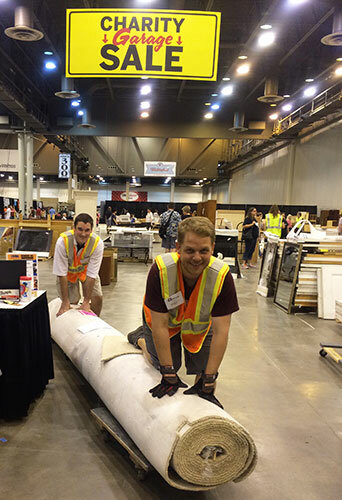 Attendance is free for remodeler participants. Get face to face interaction with your target audience! Participants will receive approximately 5 to 7 minutes of personal face time with up to 20 remodelers. Events are limited to members of the CBC. The Speed Selling event is the most effective activity GHBA has created. I was introduced to subs and suppliers I did not know existed, found out information to help my clients, and started the development of important relationships that will make my service to my clients better and in a very short time….It would have taken weeks if not months to set up those meetings and some I did not even know existed. Each year, Remodelers Council members team up to participate in the AIA Sandcastle Competition on East Beach in Galveston, Texas. Held in early summer, this event is enjoyable and family-friendly with lots of fun in the sun! Participants are encouraged to assist with the design and building of the sandcastle. And don’t forget to join the RMC for their private Sandcastle Pre-Party the night before the competition! The Remodelers Council is seeking any donations of building materials, appliances, hardware, etc. that you can spare. Proceeds from the annual garage sale are used to fund the Remodelers Council’s local charity projects at non-profit organizations, including renovations at SIRE Therapeutic Equestrian Center, ECHOS Community Center, Jacquelyn House, Open Door Mission, Habitat for Humanity & Sonrise Shelter, Family Time Crisis & Counseling Center, and Casa de Esperanza. BREAKING NEWS: Donations to the RMC Garage Sale and charity projects are now considered charitable donations. Additionally, any purchases for the project are tax free. Diane Morris Venetian Blind and Floor Co. The GHBA and RMC are great organizations that do a lot to help our city. I am proud to be a member and we will continue to work together in the future. I never imagined my company would have made this far (21 Years). Thanks to the GHBA and RMC, we are looking forward to 21 more. Joining and being active in the Remodelers Council has given me the tools to keep my company on the forefront of our industry. 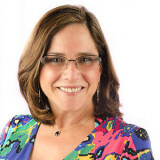 Continuing education, networking with peers and building camaraderie with like-minded people has allowed me to grow professionally and has been instrumental in reaching my goals. Wayne Ball, CGR, CAPS Lone Star Building & Construction Services, Inc. Working with the market’s most successful professionals teaches not only the best construction practices but the best business practices. The Remodelers Council’s monthly luncheon series is exceptionally educational. It covers a wide range of topical and timely topics that can influence our respective businesses—bringing one or two new ideas from each luncheon is invaluable. As a materials supplier to the industry, the open communications help me understand my customers’ needs and hence better equip our business to optimally service those. Stephen Twarowski, CGR, CAPS, SHR Remodeling, Inc.
Linda Ingalls, SHR Remodeling, Inc.